brings jasmine’s fragrance, to every breath. 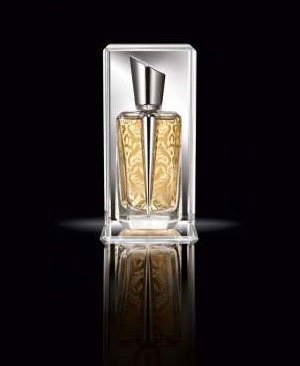 The Rose 31 perfumer Daphné Bugey has alembicated a clean clear jasmine with tuberose undertones. Lys 41 is a June 2013 release from Le Labo. I love it for it’s clarity; this is not a heady jasmine, it is perfect for a bride-to-be or a hopeful man or woman. It is also appropriate for daily wear. You may be able to smell a top note of lily, I cannot. The drydown is supposed to be musky woods however I still smell jasmine. In fact I smelt jasmine for 24 hours which is a remarkable amount of longevity. Least you think that The Fragrant Man does not bathe; a winter storm cut off the power which meant no hot water on the weekend. I love how this softens down to ‘your skin + a-whisper-of-jasmine’ after around 10 hours; and the whisper keeps whispering as you wake up in the morning. On Monday, after a hot shower and another Lys 41 spritz, I zoomed over to see a Gujarati friend of mine whose favorite ‘fume is Rose 31. Not anymore. Sachin has declared this scent to be Number 1. I think he is hoping that this one is a bride-catcher. Unlike traditionalists, such as Kilian Hennessy (“jasmine for women, fougères for men“), I think jasmine, especially in this particular 21st century interpretation is a welcome expansion to a man’s wardrobe. Mind you, only a year ago I would have agreed wholeheartedly with Mr Hennessy. Such is The Fragrant Journey. Daphné knew at the age of 12 that she was a perfumer-to-be. Off to ISIPCA she went before Firmenich became her perfume-making home. Her output includes fragrances for DSQUARED², Issey Miyake, Thierry Mugler and Kenzo. Miroir des Voluptés. Composed by Nathalie Lorson and Daphné Bugey for Thierry Mugler. Deciding on a new perfume to add to your library or wardrobe can be expensive. 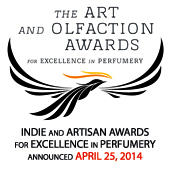 Le Labo, have $US6 samples with spray nozzles as well as alcohol-free options for Lys 41 and their entire range. 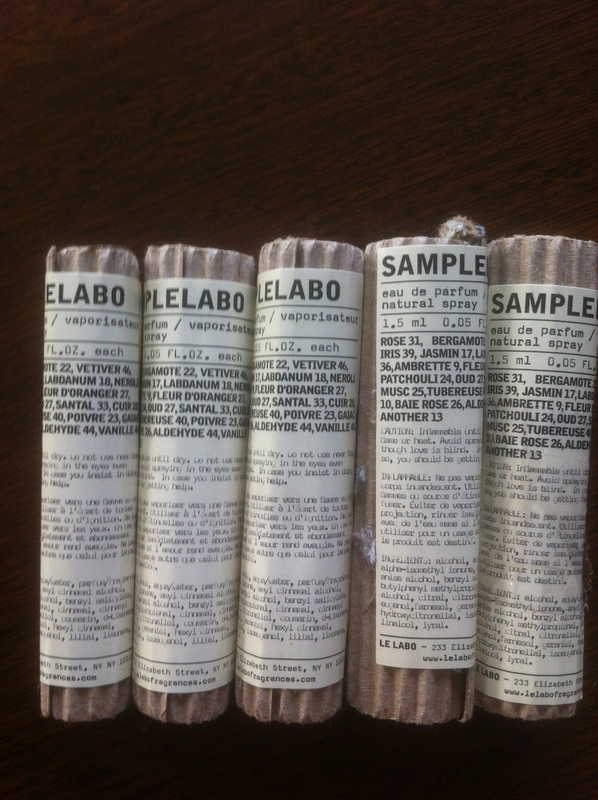 Le Labo samples are $US6 each. If you are new to the world of fragrances Le Labo is a good launching pad. You can experiment with one of the most modern perfume houses as a gateway into other niche lines or you may find a pleasant plateau with the variety available from this house. 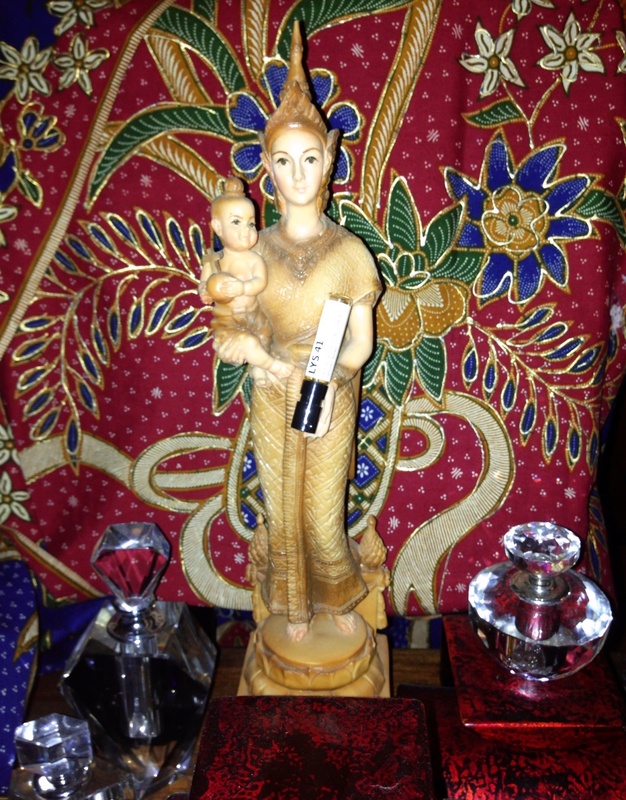 The number in the name of each perfume refers to the number of notes in the fragrance. Hours of fun if you want to try to identify the notes especially the ones that are not officially listed. I prefer to go with the finished composition and just enjoy. However, speaking of note breakdowns, later in the month we will return to Rose 31 to discuss the actual notes; another Perfumista has a quite different opinion as to what makes up that scent. In the meantime; Lys 41, step out with jasmine. There’s a lot of buzz about this scent lately. The more I read the more I want to try it. Jasmine for 24 hours sounds like a wonderful thing to me. It was wonderful and a surprise to me. Have fun with this one Poodle. Thank you for the link referral. 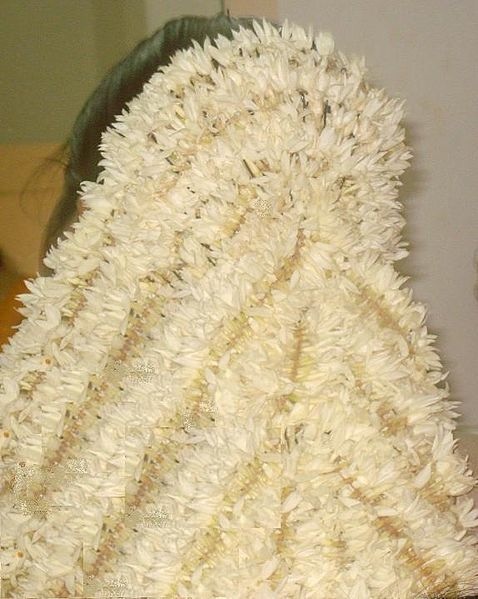 It’s interesting how your skin only magnified the jasmine and how you didn’t smell the lily at all. But I’m glad you liked the final version, whatever the main note on you, and how amazing that it lasted 24 hours! You are so welcome. It is interesting. Maybe I have lily anosmia. But now I have read the other reviews there does seem to be a man-jas thing happening with this one. I think Le Lebo should ditch the names and just go with numbers! This is becoming more and more tempting to me…. I LOVE jasmine! Let us know your thoughts. Would you also try it on some men and see if the lily note hides from them too? Mr Non-Blonde’s skin ‘took the jasmine note and shot it to high heaven’. Maybe stand on a street corner in Dubai for this experiment and then we can publish your results here? With photos of course. real scrubber for me, way too indolic, however, Ylang 49 has me captivated, it’s all I’ve worn all summer. Interesting. Opposite here. I will revisit Ylang 49 this weekend and see if my response has changed. I was not captivated at all but I would like to be. It is spring here now so maybe that is what I need to ylang it!